At 301 Chimney, we are more than just professional chimney service providers. We also specialize in brick and masonry in the D.C. metropolitan area, including Maryland and Virginia. Since 1973, we have been assisting homeowners with a variety of home repairs that may not be specially covered by other companies. If your patio or sidewalk is in need of masonry repair in Maryland, our company is here to get the job done. When it comes to masonry in D.C., 301 Chimney has all of the experience to complete any task efficiently and effectively. We’ll repair grouting, damaged sidewalks, patios, and concrete and we guarantee you’ll be able to enjoy the beauty of our work for years to come. Our masonry repair in Maryland is completed by highly trained professionals who have a perfectionist attitude towards their work and will ensure that the job is completed to your exact expectations. If you’re in need of brick and masonry repair, look no further than 301 Chimney. Call our professional chimney service today at (301) 699-6050 or visit our contact us page to communicate via email. Grouting, or mortar, is the stuff that holds masonry together. Over time, it can erode and wear away, crumble and become less adhesive. The sooner the issue is addressed, the better. When the grouting degrades too much, the overall structural integrity of a chimney or other brickwork is compromised. 301Chimney understands the elements that are at play when grouting deteriorates, and will analyze the situation to determine the best course of action. Is your sidewalk damaged, or would you like to have a new one installed? Call 301 CHIMNEY where we have a wide range of solutions to suit your needs and your budget. We'll replace your old, deteriorating sidewalk with a combination of modern and traditional techniques and materials to ensure the best quality possible. 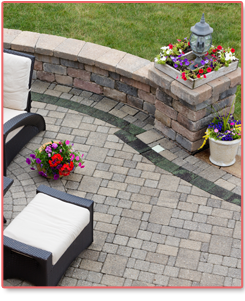 Enjoy the outdoors in comfort and style with a well-designed brick or stone patio. We'll design and install a new patio that will become a beautiful extension of your home. We're also experts in stone and brick patio repair and restoration. Our team will work closely with you to ensure that you get the patio of your dreams. We stay on top of current trends in techniques and materials and your patio will be the envy of the neighborhood. Let us replace loose mortar joints and repair cracked bricks. 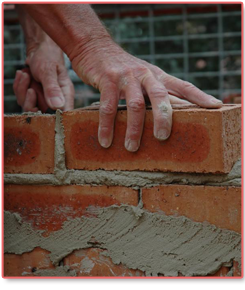 Our masonry repair and restoration experts can whip masonry of all kinds into amazing shape. Over time, thermal contraction and expansion, weather-induced wear and stress, and other forces wreak havoc on masonry. Our professionals will address any of your issues quickly and affordably. If your masonry is in sound structural shape but looks worn and old, our restoration services will do the trick. Don't replace your concrete floor, driveway, patio, or other structure without checking our concrete repair services. Worn and damaged concrete can often be made like new again with the right techniques and materials. From epoxy injections to quality coatings and toppings, our team will repair your concrete quickly and effectively.